TRAGIC END OF MARRIAGE, HOW TO HEAL ME? Dear beings of love and light, first of all gratitude for the opportunity of this question to you, so also as to this channel, and I ask: What turnaround was this that I have lived in my life? How many unbelievable things! So much that I never imagined happening! My marriage, which was two years ago, came to a tragic end, and I still feel the influence of that past of pain. How can I deal with all this? If I can hardly believe I survived everything that happened to me! What do I do to heal myself once and for all? And what is the reason of all this that I lived in the 2 years before the end of the marriage and until today that also has 2 years already? There were many physical and emotional pains! And my financial life that seems to have stopped since then? Another thing, if possible, and the person who talked spiritually who does not seem to be who I think he is or does he really exist in our reality here? Beloved daughter. You are going through a period of intense cleansing and purification. Transmuting patterns he established in his life and set out to come here and clean up in this incarnation. All the unpleasant visions, premonitions, and sensations that you have of your past are involved in the same energy. The fact that you still suffer from the remembrance of suffering that has passed away, causes you not to be in balance centered in the present moment. This causes confusion where you no longer know what is present, past and future. You have blessed gifts, and when you are in perfect balance, you will be able to understand all the information that comes to you and organize them with your intuition. You, for the time being, should seek only silence and cleanliness. Work by applying to yourself the cleansing of the Violet Flame and the Violet Crystal Flame decrees. Repeat the decrees of the seven rays. Finish each day with the golden flame in balance. You will see that in a short time you will be centered in your thoughts and a new woman will be born. Be at peace my daughter. I am very grateful for all of you, brothers, who do an enlightened work of channeling, and transmission of information and knowledge. From the day that there was a great awakening to life and who I really am, I have walked and experienced fantastic moments. Thank you for the sublime night of our party of light. It felt so good to feel you all together with me. I do not know exactly what to ask, but I know the need for the whole process that I live and lived for my evolution as a being. Sometimes I get too anxious, too future, my soul or mind is thirsty to run like on a roller coaster. I'm looking for some ways to balance myself. I have accessed many faculties, potentialities that were dormant, this has helped me a lot. I meet again and identify many of my true home. I am fascinated to feel the goodness, the love and the light emanating. Only it seems to me that many are afraid and frightened by these my "spells". I want to live a full love on the Earth with a companion, so that the way is even more beautiful and pleasant. May he indulge in the most beautiful of feelings as I have always felt in my heart. In addition, I also live in that year of 2017 an important stage that is the conclusion of my doctoral studies. I have many ideas, I allow myself to flow. I wanted to focus on work more, but I try to understand and live my present. I know that everything that is very forced is out of the flow, and is not what is in fact to happen at such a time. If you can help me with words. Gratitude. Son. I would like to convey to you something brief, but nothing complex, simple as the water flowing in the creek to cross the obstacles. For this is life, observe nature as it flows, how it walks, where everything fits. So it is you, then, you, it is nature itself. And all that experience is for you to learn this flow, with confidence, faith in life, anchoring and peace. From everything you observe in life, you will see that the path will lead you to what you need, not only in material terms, but to add in yourself the experiences necessary for your growth. It is often necessary that everything is unbalanced to realize the need for balance in life. Many times we do not find the way of flow because we put ourselves in front of our life and then it is necessary that some points are unbalanced so that we can perceive the necessity of return. I bless you on this journey my brother so that he understands the greater purpose of his growth, removing all these longings from him, for from everything he describes there are only experiences that come to you, to join in that path of growth that trails. Be in peace. Beloved Masters, allow me to deeply thank the teachings and to ask for something that, all my life, has disturbed me. I was born in a family that educated me with a lot of spirituality, and it always gave us answers to the moments that science did not know to explain, mainly conventional medicine. I attended Umbanda centers of great light since I was a child, but my own spirituality has always been a subject of much doubt. Despite a stable life, with some problems more related to the same family nucleus, today I am 19 years old and these were lived with a very great feeling of "back weight". I have had serious problems with anxiety in the last few years before leaving home, but even with the pain that this behavior caused me along with everyone else, I did not want to point out a cause that was not my creation, I did not want to put their cause in a Spiritual factor I did not know. Anyway, I also have the impression that, despite spiritual education, I still have a lot of fear for everything I can not see. As a child, any narrative about extraterrestrial beings (as they are shown in the media) frightened me terribly. I could not even watch a movie with that theme. And over the years I developed an idea that I was constantly observed and that I was also increasing this fear. Today, I study and work with what has always "calmed me down" and that seems even more real than I can observe with the naked eye, art, especially literature. And I'm grateful for that, because my ease in "disconnecting" from this reality and immersing myself in another has always been very profound. Finally, what can I do to understand myself spiritually? Hello daughter. We follow with enthusiasm his trajectory of light. It came from high spheres, but when you acquire a body, bring with you all the restrictions of the environment you have found. You agreed to overcome those pains, those fears, cleaning up everything that you found in your environment. Let's try to be more direct. All these fears, these doubts that you bring within you, are not yours. But they are elements that incorporated to obtain as lesson precisely the transcendence of all this, liberation and overcoming. That was his goal in coming to this world. What you describe as doubts and fears, are like membranes accumulated in your records that need to be purified. Use the Crystal Violet Flame on this course by anchoring it daily in you, at the end call for me to be bathed in the golden flame of my love, so that little by little you balance with these situations. This light treatment will help you release these fears, those fears of finding your own light. How many are those, my sister, who sees in their enlightenment, the fear of going and leaving behind those they love. At other times you have made contact with this inner light in the physical disembodiment. And this is what brings you back to the feeling of coming into contact with higher energies, so the fear that carries within you. Begin using the Crystal Violet Flame, and let your body flow, this will be a good remedy to help you purify these restrictions. The golden flame will bring you the balance and anchoring to flow in life. I would like you to understand that you do not need to be afraid of your own enlightenment, following the path of light and spirituality, for I will be with you, to take you with me in your dreams to help you on the way. Be at peace, my sister. I am your brother of love. Beloved Masters, gratitude for opportunity. I feel calmer every day as I have practiced meditation and yoga daily, but when sadness comes, it comes much deeper. It hurts a lot, there are moments that I believe I can not do. I feel myself sinking into the darkness of my being. I just finished a relationship, where I allowed my fears to take care of me and said that I wanted commitment, and he said that "he is not prepared". I feel like I made a mistake because we were only 4 months together. I was anxious, covered and had expectations, and did not let things flow naturally. But I still really like him and I miss him. I have no friends, and despite meeting people, I do not want to go back. I feel apathetic, lonely and very conflicting internally. I feel like I'm getting away and sabotaging my relationships. I do not know very well how to connect with people. I'm also unemployed, I spend my days at home reading and meditating. I feel like going out more, traveling, but I lack money, and if I get a job, it will take time. I feel working with holistic therapies, yoga and dancing, but at the precise moment of money to take courses and add knowledge, and also do not feel emotionally prepared for such responsibility. I feel lost, not knowing what to do and how to reach my inner intuition and intuition. Meditation has helped me a lot, but I would like to have more patience with my own process, compassion for my solitude, self-confidence, giving up control and living the present. I know that my thoughts create my reality, but I do not know what else to do to be in complete peace with mine. Sometimes I feel great joy, but it does not last long. I really want to relax on my way. I would like sweet words to calm my soul, for after all, I still believe the best is here. Infinite gratitude. Beloved daughter. She is going through the emotional cleansing process, where she will no longer be carrying the burdens she has been carrying so far. You bring within yourself the thirst for change, but there are emotional bindings attached to your Akhashic record that keep you from going on your own path, and keep you embedded in your own illusory reality of suffering. This is a pattern that must be broken with therapeutic techniques of access to the akhashic record and anchoring of the Crystal Violet Flame in therapy. Observe the emotional cause, feel some symptom, silence, notice that there is an energetic thread connecting that feeling (which is catharsis) to a record. Light up this energetic thread with the Crystal Violet Flame, and then notice that it leads to the akhashic record where the cause of this repetition is. Radiate the Violet Crystal Flame there. Proceed to finish with the cleaning of Archangel Jofiel of the golden flame. So proceed to every lower feeling that comes. Go cleaning gradually. 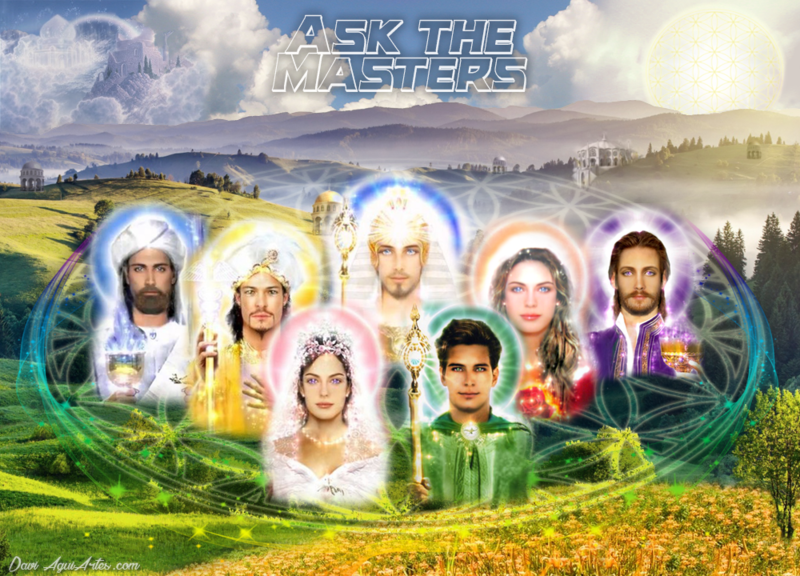 This process will allow you to open up to receive all the energies of the masters, the archangels, and all the spiritual team that is here and is part of the beautiful history that is the purification and liberation of this planet. And so it is. 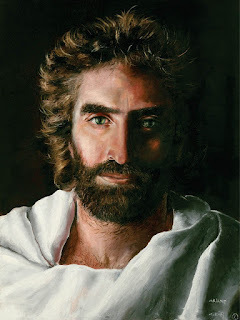 The peace of Master Jesus! Gratitude Masters! You have always helped me and been with me since I was very young. I call them my light friends and space brothers, so I've never felt alone. I love life very much and thank every minute of the difficulties faced. I was orphaned by a father, disembarked April 28, 1985 at the age of 13, and the mother soon became ill because of the pressure of having stayed with her 4 small children, she got very depressed when I was 17 years old, and until today. I take care of her with a lot of respect, patience and love, even though I have felt for years a terrible fear of acquiring the same disease. The marks of the most difficult moments are eternal, as are also the teachings assimilated by my spirit because of my life history. God be praised for it. I am dedicated to the family, to the desire to be better every day and turned to the greater good. I have a lot of patience and a happy mood that I like very much. My laughter is wonderful. I am happy that my mother is fulfilling her mission, with dignity, even having undergone schizophrenic outbreaks, leaving her unrecognizable. I try to help her by giving her medicine and encouraging her. I am passionate about my profession as a teacher, but I feel that we have failures in methodology, and I find myself tied by a flawed system. I only ask the Holy Spirit to enlighten the teachers. I have so much love in my heart that I feel I have to give. The chakra of my solar plexus burns, my asthma has improved, but it has not healed, I feel good being affectionate and showing love. And here comes my questioning, my concern and my question. Is the energy of Deeksha, or even Reiki, necessary energies for my spiritual evolution? In order for people to be connected to these energies, a considered value is paid. If they are Divine energies, should they not be accessible to all, even to those who have no resources? They use symbols and "keys" to open a channel and channel these energies. And how are the brothers who can not afford to take these initiation courses, and the vast majority of the Brazilian people can not afford it? This is a great illusion, and can all connect to this subtle energy source without needing symbols, being according to the purpose of earthly mission? Because I feel that I came here with the mission to help, I can even pay, and Amplify my vibratory field, but I am cautious because an energy historian (Geraldo Amaro) posted a video on youtube saying that the channeling of Deeksha comes through two avatars, which they use in bad faith, to form an energy pyramid and thus, they can feed themselves I want to help, but with caution, even why is it correct to interfere in the energy field of people? I am 44 years old, I want to To meet people, to enjoy life a bit and to have a little more lightness, a bird comes with responsibilities. In relationships I've never been good at it, I think only in the next incarnation. And with that, I learned to love myself and to feel complete, I feel that I am loved by the Holy Trinity, Mother Mary, I am Oxum's daughter, by the friends of light, especially one, I feel the presence, but I do not know who it is , Father Joachim, and father John, my ancestors and my guardian angel, dear friend. If you can guide me, I will do these courses without fear and so I can expand my vibratory field and help the planet to channel more love. But if it is not necessary, I will also be happy and at peace in my mission. Everlasting gratitude Masters of light and space brothers. Will we ever be able to see you? I just feel them. I wanted so much to thank, to hug, "personally" because you helped me so much and because you were still helping me with the sin of gluttony, I lost 28 kg, without surgery. I intend to make one to eliminate skin from the arms. Kisses in the heart and continue with the Divine work, do not give up on us, we are stubborn, but with patience we learn. Save the daughter of umbanda and the love of Jesus Christ! Save your love that is so great, but you can not find an abode within yourself, right daughter? Daughter, the father came to tell you that you can watch video on YouTube, watch television and the internet. And with that you will realize that each one is in an evolutionary stage and decided to tread the own road in a different way. But being a daughter of the umbanda, you know that the important thing is the road of yourself, not the road of others, right daughter? Even before the judgment, which you see in so many places, you must lead the doubt to your heart, and feel what should be part of your walk or not. No one will tell you what to do, daughter. When the children receive the call to do Reiki, so it will be. For even before you know what Reiki is, your spiritual guides have already left the field prepared for you to follow in some course. That's when you're part of the light, daughter. So do not let fear, which is the fuel that moves this ancient planetary energy mesh, make the decisions before even listening to your heart, daughter. Do not let prejudice, judgment, or fear prevent your daughter from following her own path of evolution and listening to the call of the heart. Right, daughter? And so it will be, daughter. Father José loves his daughter and will accompany this journey. Hail! Dear Masters. Very grateful for the opportunity. I ask, why I have lost the will to seek a new love, I can not feel attached to anyone, sometimes I think I have a problem, I have been married 2 times and suffered a lot in both marriages, many lies, maybe it is an auto protection. I really want to have a mate, but have real feelings. I also want changes to come. I see myself a closed person for life today. I work and raise my children, alone. Gratitude! My beloved daughter. Each of you chose to overcome an aspect connected to the planetary mesh. They are aspects where they are not yet fully developed and then immerse more easily within the illusion of life. He chose to transcend the illusion of love relationships, where lies, luxuriance, where a relationship of mutual respect is not fully lived. But what you need to ask yourself is because you experienced relationships in the same pattern. There is a repetition that occurs in your life, which you need to transcend. It is a cycle that repeats itself because its energy is attracting this type of situation, precisely the energy that needs to transcend to finally be happy in this aspect of your life. Begin to observe what attracts you to relationships, what do you seek in those encounters? In so doing you will find the trigger that awakens in you the need to meet people who share this pattern. Then begin to turn the key of life, seeking by standards where you overcome those emotional triggers that lead you to relationships in the same pattern of lying, lust and disrespect. There is no problem in choosing to be alone. But it will not feel complete like this, because its goal is precisely to transcend this pattern of suffering, attracting people who share the respect, truth and friendship in a relationship. When trying to relate, when you are interested, observe what appeals to you, but always attentive to repetitions of patterns. There will come a time that by itself will already know the path to follow. Be in peace.